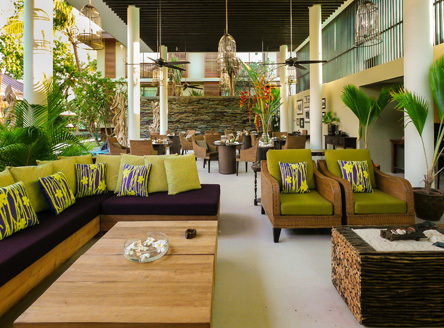 A new luxurious and beautiful beachfront boutique hotel on the west coast of Praslin at Grand Anse, offering ten individually styed and designed Suites set around a central swimming pool, with an à la carte restaurant. 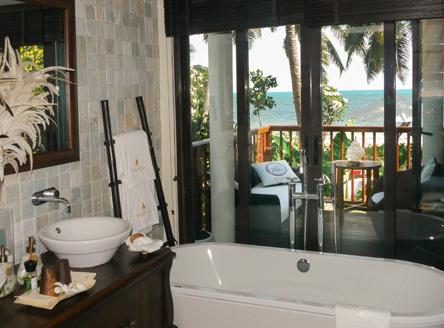 Each of the ten Suites is designed to offer a unique, natural ambience that reflects the Seychelles cultural background in its décor and style. Five of the suites overlook the ocean; the other five have a garden view. Two suites inter-connect to provide a Family Suite. The 65m² swimming pool (chlorine free) is set between the beach and the hotel. 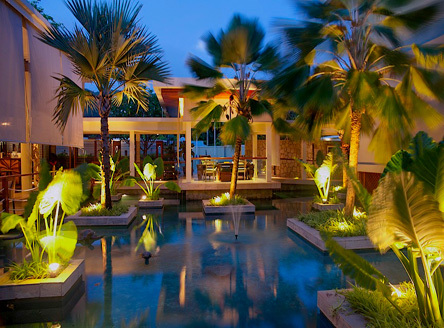 To one side is the hotel’s à la carte restaurant The Pond, offering a mix of Mediterranean, Asian and Creole flavours. 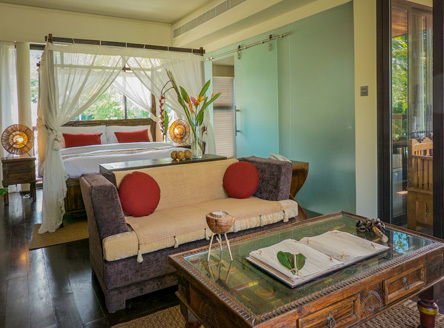 Half Board rates at Dhevatara include a 4-course set menu including a glass of wine each. For more informal dining, the hotel’s Barefoot BBQ (Summer season only) provides simple tasty fare beside the beach or pool. 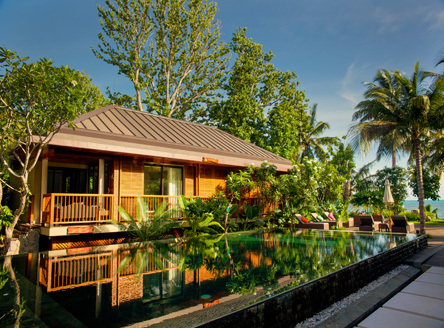 The Spa at Dhevatara is inspired by ancient Thai rituals and offers a range of treatments that utilise organic ingredients; treatments can also be individually tailored by one of the spa specialists. 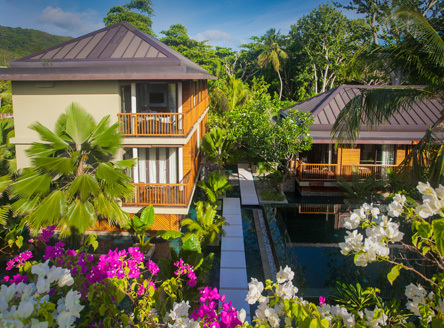 The hotel is situated close to a UNESCO World Heritage site, the Vallee de Mai on Praslin island. Trips to the neighbouring island of La Digue can also be arranged, making Dhevatara a perfect base from which to explore this part of the Seychelles. Inter-island flight from Mahé to Praslin and then road - approx. 25 minutes, OR; inter-island boat from Mahé to Praslin and then road - approx. 1 hour 20 minutes. 10 individually-designed air-conditioned suites (50m²) each with king size (or twin) beds, ceiling fan, shower, bath, L’Occitane bathroom amenities, hairdryer, iron/ironing board, separate changing room, safe, 42” flat screen TV, DVD, Wifi access, mini bar, tea/coffee facilities, terrace/balcony. 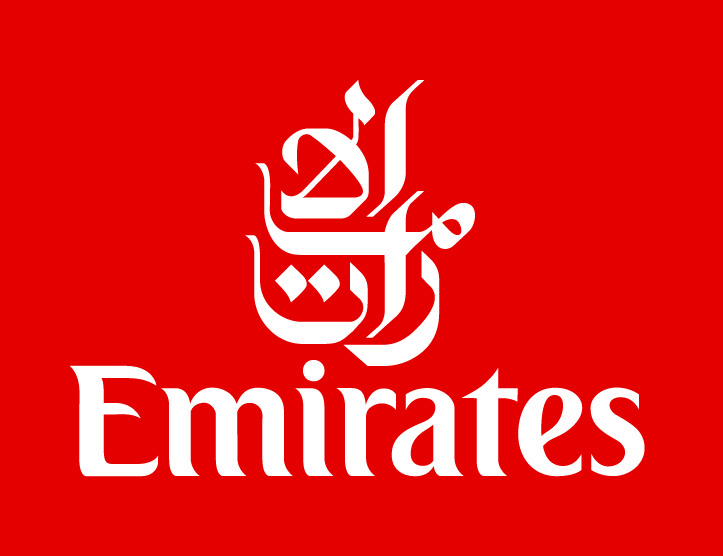 Inter-connecting suites available. 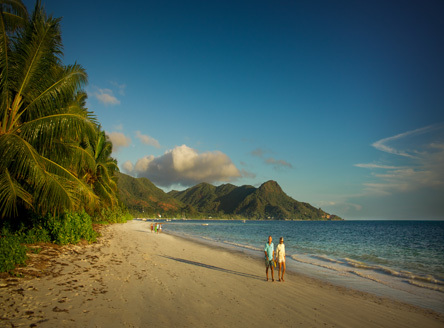 7 nights Bed & Breakfast in a Standard Suite from £1629 per person, including return flights from London, return inter-island flights from Mahé to Praslin and all road transfers. Valid for stays: all year. Not combinable with other offers. 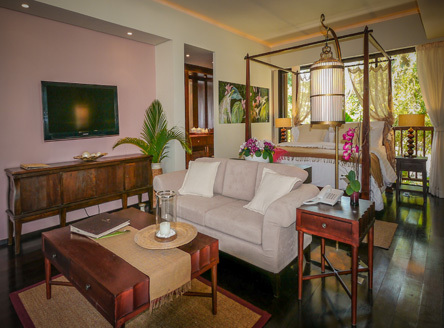 A unique boutique hotel with a special design, excellent service and individually-designed suites. Perfect for couples celebraating honeymoons and anniverasaries. Welcomes children 12 years and over. 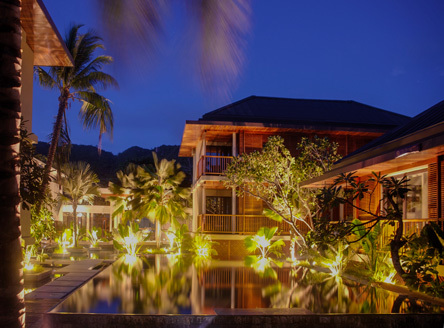 “A really lovely boutique hotel right beside the sea at Grand Anse on Praslin Island. Although in a small area, the clever design has meant spacious accommodation has not been compromised. Lovely individually-styled rooms add atmosphere to this unique, quiet hotel. 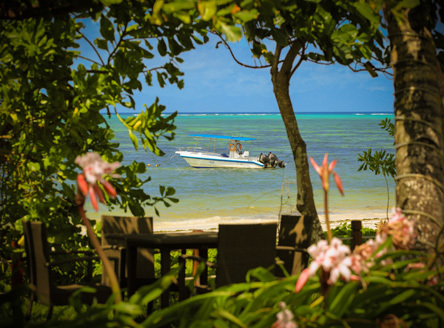 Why not combine Dhevatara with a fabulous Catamaran Cruise? 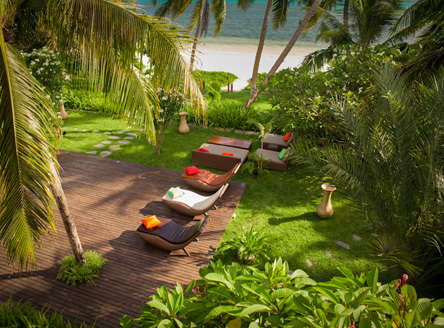 A stay at the boutique Dhevatara makes a great combination with one of our superb Seychelles Catamaran Cruises. We can tailor any 'Cruise & Stay' package, from luxury resorts to boutique hotels.